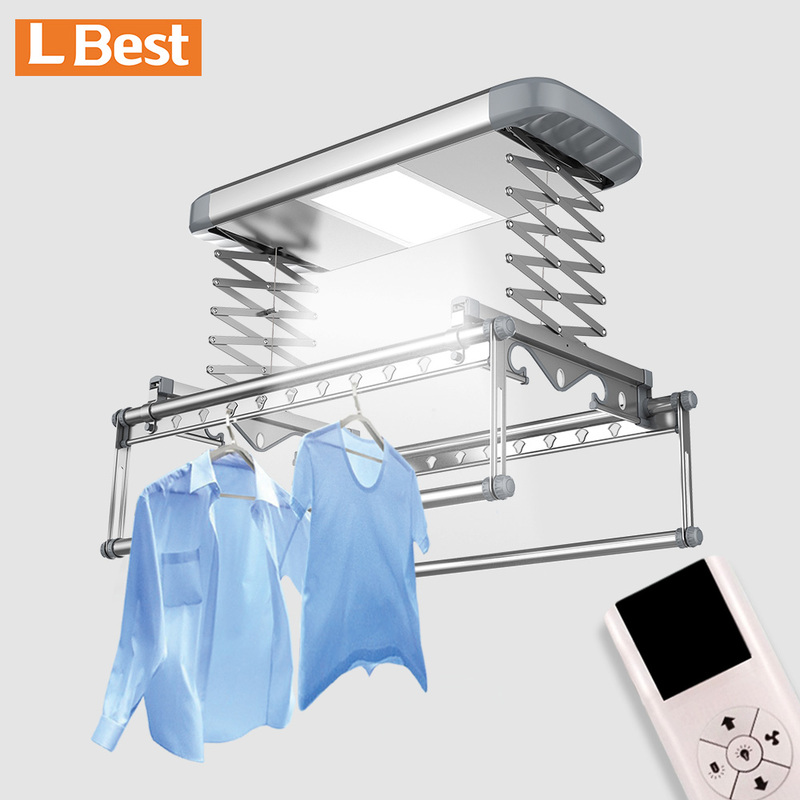 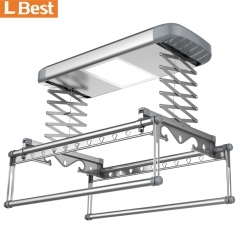 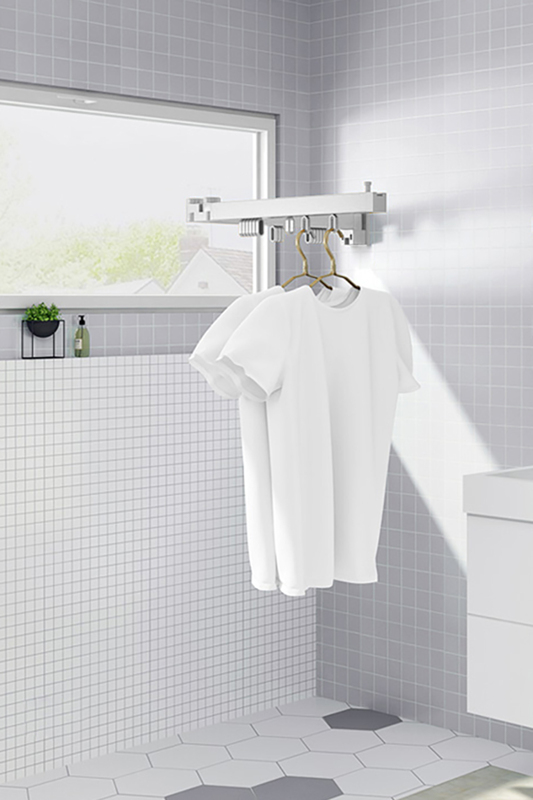 Smart Design Space Saving Clothes Drying Rack November 16,2018. 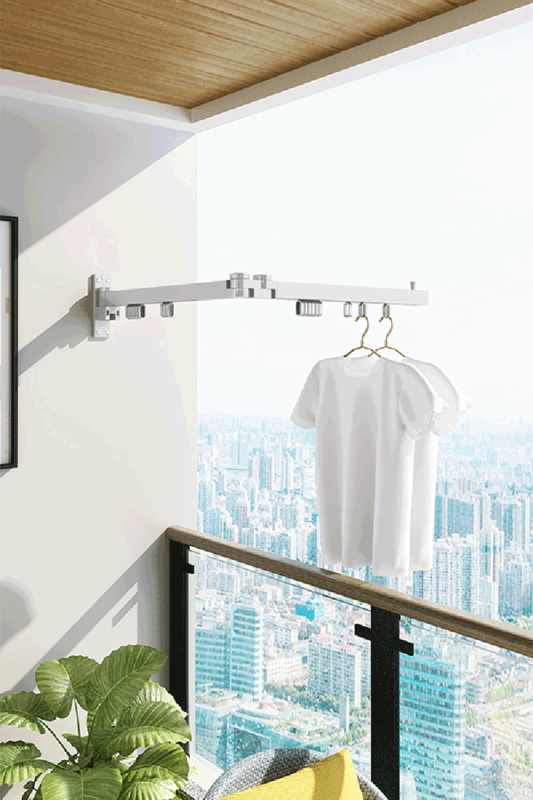 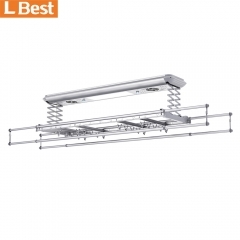 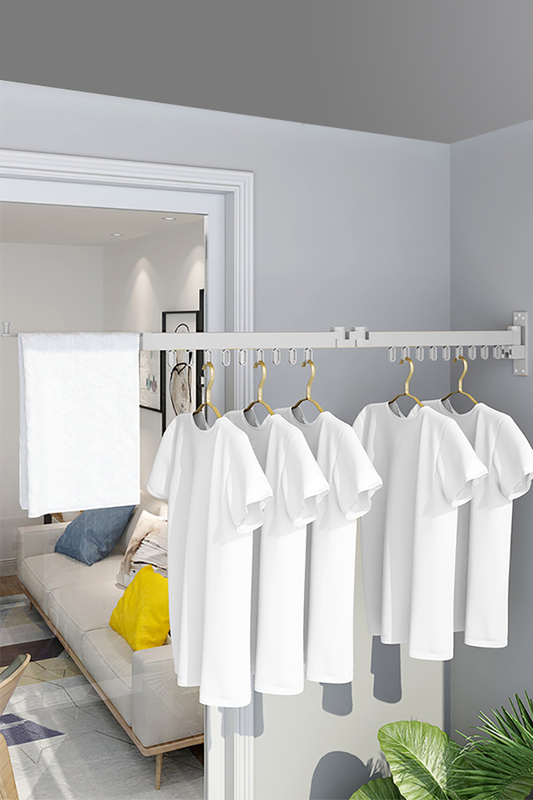 If you are pursuit of perfection in life, and you need a special clothes rack in different place: bedroom, bathroom, balcon…you can hang the clothes wherever you want, so this is exactly what you want. 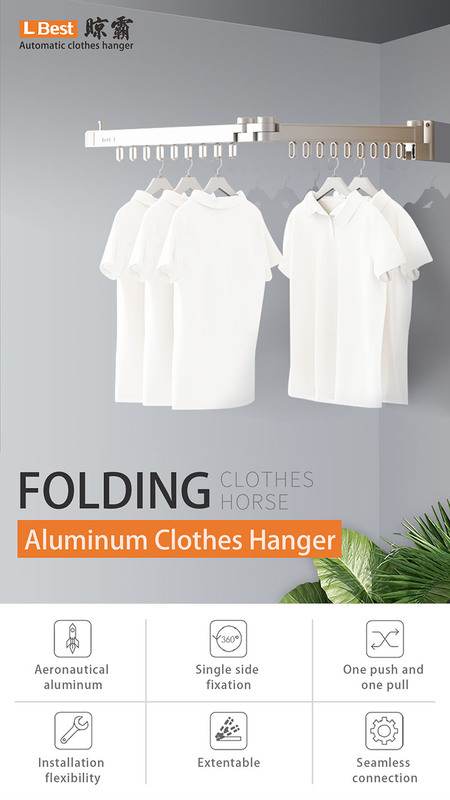 This hanger is practical and beautiful with simple design , exquisite and unique, which suitable for all kinds of home style. 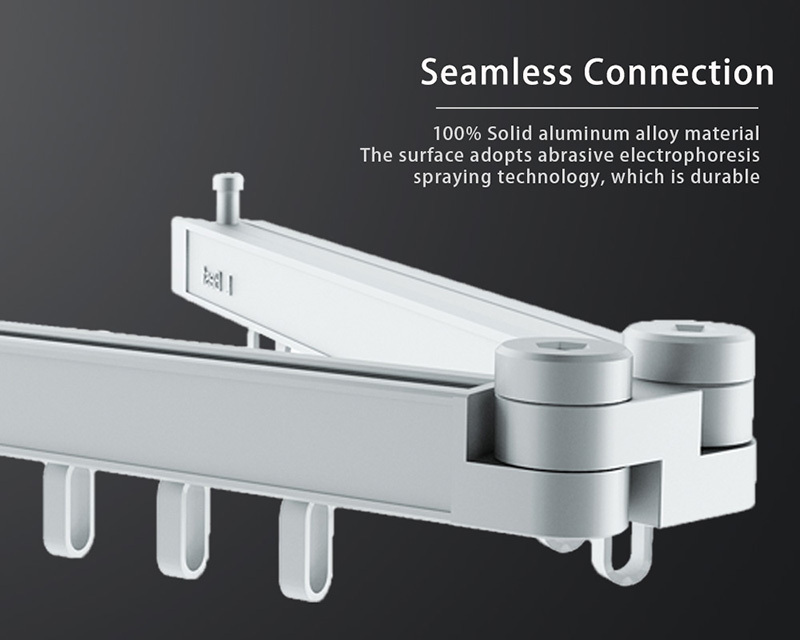 The material solid aluminum alloy, and the surface is made of frosted electrophoretic spray process, which is durable. 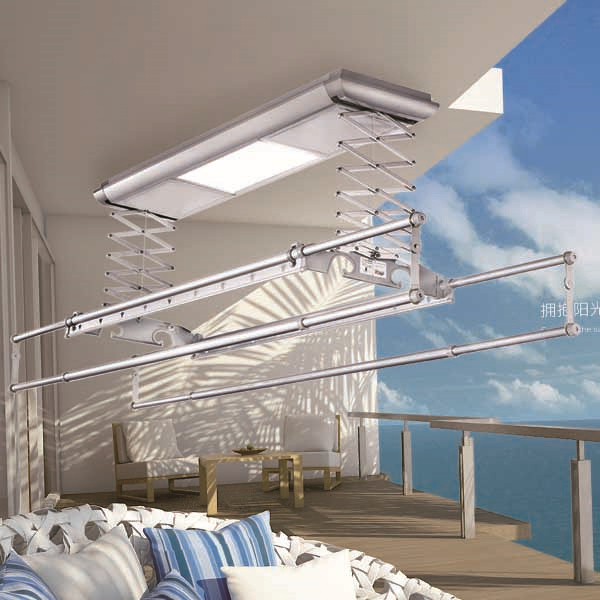 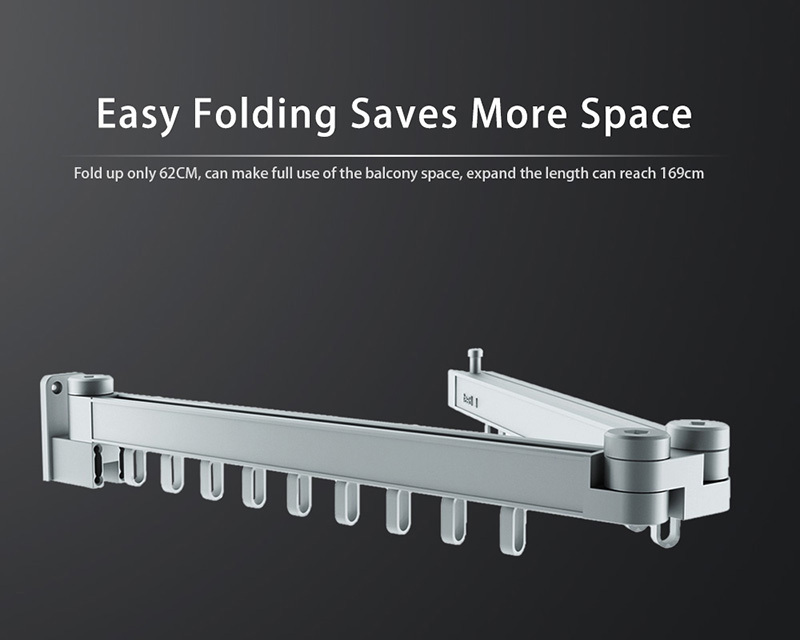 Fold up only 62 CM, can make full use of the balcony space, expand the length can reach 169 CM. 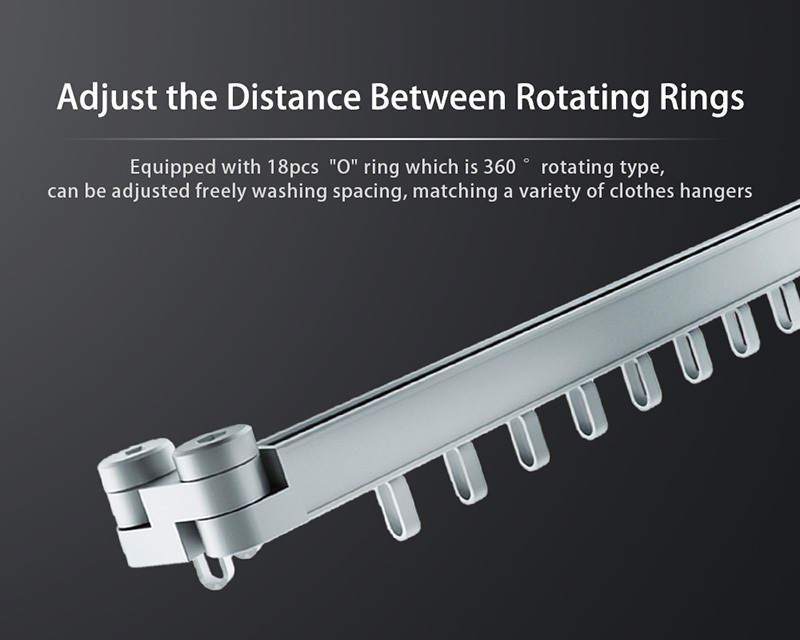 Equipped with 18 pcs "O" ring which is 360 ° rotating type, can be adjusted freely washing spacing, matching a variety of clothes hangers. 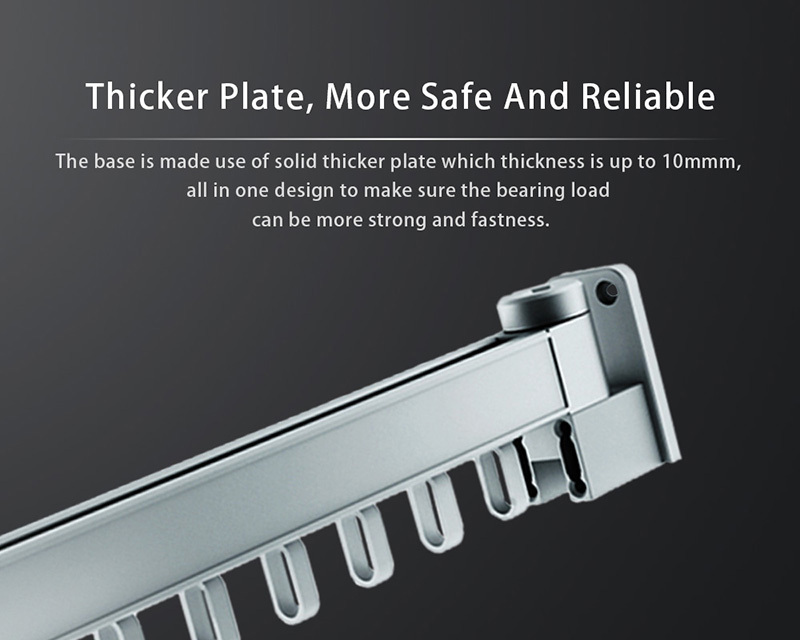 The base is made use of solid thicker plate which thickness is up to 10mmm, all in one design to make sure the bearing load can be more strong and fastness. 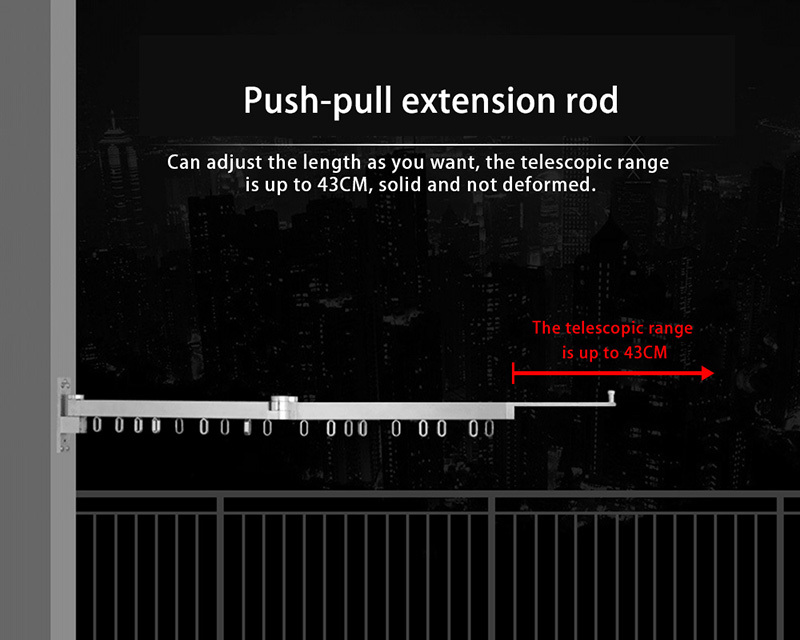 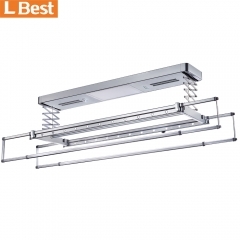 Can adjust the length as you want, the telescopic range is up to 43 CM, solid and not deformed. 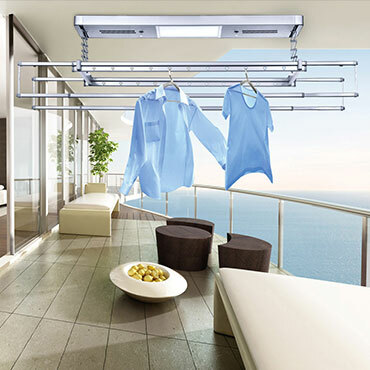 The air-drying arm-mounted drying rack uses a demonstration, a new definition of quality life, giving you a different experience.